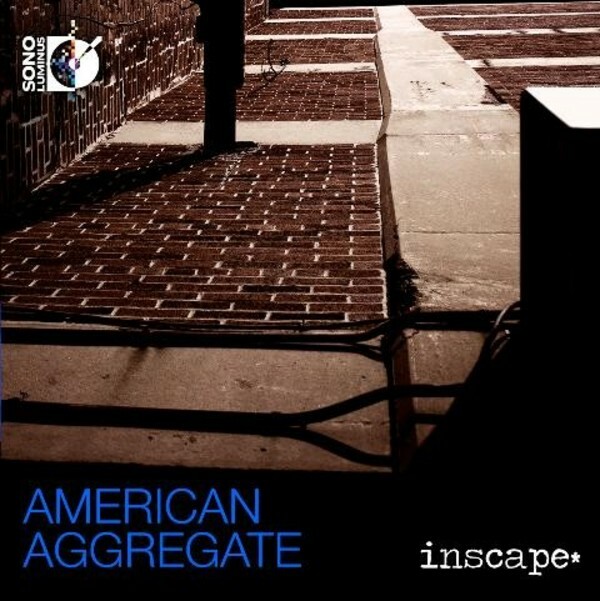 'American Aggregate', the follow up to Inscape’s Grammy nominated debut album 'Sprung Rhythm' on the Sono Luminus label, explores the rich and varied sounds of American music in the 21st century. From the mechanized world of our cities to the natural beauty of our landscapes, from the sounds of jazz and rock to indigenous folk music, the picture of contemporary classical music is revealing and diverse. The works contained on this album reflect American culture, landscape and environment, as expressed through the distinctly American voices of seven young composers. The album opens with Nathan Lincoln-DeCuasitis’ Oblivion, a chamber symphony in three movements in which each movement is modelled on a specific sonic shape. Armando Bayolo’s Wide Open Spaces was composed to address the concerns surrounding the impact of climate change. Dan Visconti’s Black Bend begins with a spacious collage of distant, mournful sounds with the flavour of limpid summer landscape and the slow drawl of rural vernacular. From this texture a slow blues emerges and accelerates in a wailing frenzy, only to dissolve into nothingness as quickly as it materialized. Julia Adolphe brings the ensemble Wordless Creatures, a work that imagines a community of small, scurrying characters moving through a series of scenes portrayed through shifting soundscapes. The Extraordinary Gryssandra Wycke by Joseph Hallman is the story of a young witch who is new to her powers and the world of witchcraft. The piece is composed as a tone poem that reflects the spells she learns and employs. Stephen Gorbos’ What I Decided to Keep propels the CD forward with the influences of funk and progressive rock, drawing inspiration from Béla Bartók’s 5th string quartet in its linear succession of events. Included on the Blu-ray disc and for digital download, Gregory Spears’ new arrangement of The Bear and the Dove was commissioned to accompany Christopher Williams’ choreographic staging of Prokofiev’s ballet Trapeze at the Bard Spiegeltent. Founded in 2004 by Artistic Director Richard Scerbo, Inscape creates compelling concert experiences that aim to engage audiences and provide exciting, accessible ways to explore both standard and non-standard repertoire. Inscape’s performances have been praised by The Washington Post for their “guts and musical sensitivity”, and their 2014 Grammy nominated album 'Sprung Rhythm' was recently singled out as “brilliant” and “gorgeously recorded” by The New York Times.